Wed., Jan. 18, 2017, 12:34 a.m. Ever been late paying a bill that became lost in a pile of paper? Could anyone make sense of your finances if something happened to you? Organizing your finances and important documents helps to reduce clutter and assures you’ll be prepared for whatever life throws your way. Whether you’re a paper person or you like to manage things electronically, make sure to gather all your bill-paying materials in one place. Use a file drawer or a cardboard box to organize your bills according to when they are due. Include a schedule showing all these due dates in one place. Then, file bills according to whether they are outstanding or paid. You can simplify this system by using your financial institution’s online banking and billpay program. Sign up for electronic statements from your bank or credit union and take advantage of direct deposit and payroll deduction. You’ll have less paper to file, digital access to months or years of account history, and less need to write checks. Secure important papers and contact information in a fireproof, waterproof container and keep it in a safe location where it’s easy to grab in an emergency. Someday it may fall to others to sort out your finances. Save them countless hours by keeping a financial notebook. Put it in your safe-deposit box or another secure location they can quickly access if something ever happens to you. Finally, make sure your notebook includes all your important estate planning documents, such as a copy of your will, advance directives, powers of attorney, and letters of instruction. 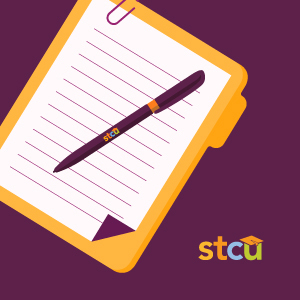 Find more tips on how to organize your finances and simplify your life at stcumoney.org. Published: Jan. 18, 2017, 12:34 a.m. Updated: Jan. 31, 2017, 12:34 a.m.